Currently writing music in Brooklyn, New York, blooming indie pop sensation Carousel has been repeatedly churning out indie anthems over the course of a year. This infant band has lots of room for growth and holds much promise in the future. Setting up their dominant force in the indie scene with their EP 26 Allston and a handful of powerful singles, Carousel is a band that will sooner or later make its huge breakthrough in the indie airwaves. In the mean time, their work has been receiving lots of attention and have become targets for some wicked remixes. Chicago producer and remix machine Sound Remedy has yet again whipped up another thumping remix. 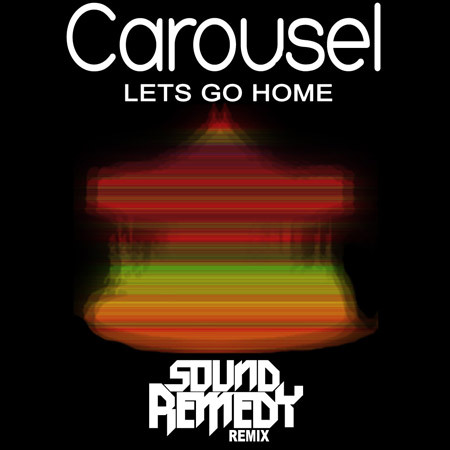 His latest target is Carousel's single "Let's Go Home". The original tune is already pretty jamming, but Sound Remedy has rocketed it into a different dimension. Tailoring it to today's electronic trends, the Sound Remedy's remix includes a massive build-up to a synth-happy, electrified dance session while looping the original lyrics over the layer-fest.